Depression is more common than you think, as more than 350 million people globally suffer from it. National Depression Screening Day is a time to spread the word to reduce the stigma on mental health. Learn more and join the discussion on Mayo Clinic Connect. 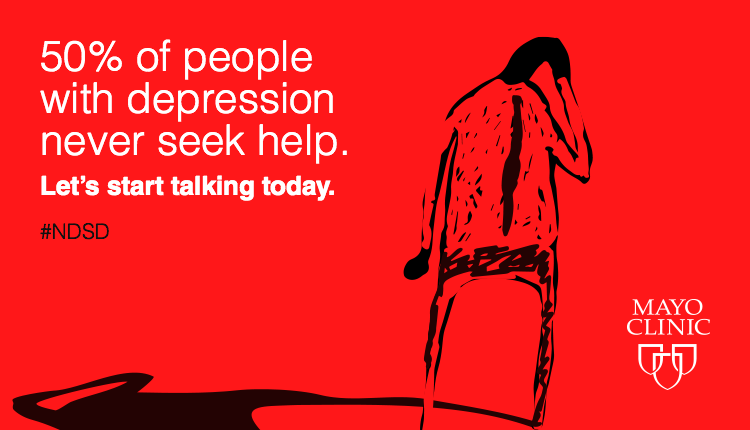 Depression is more common than you think, as more than 350 million people globally suffer from it.